Who would have thought it? Earl Slick and Bernard Fowler will perform the whole of Station to Station and other stuff including Rolling Stones songs. Edited 1 time(s). Last edit at 2015-12-24 14:20 by bv. 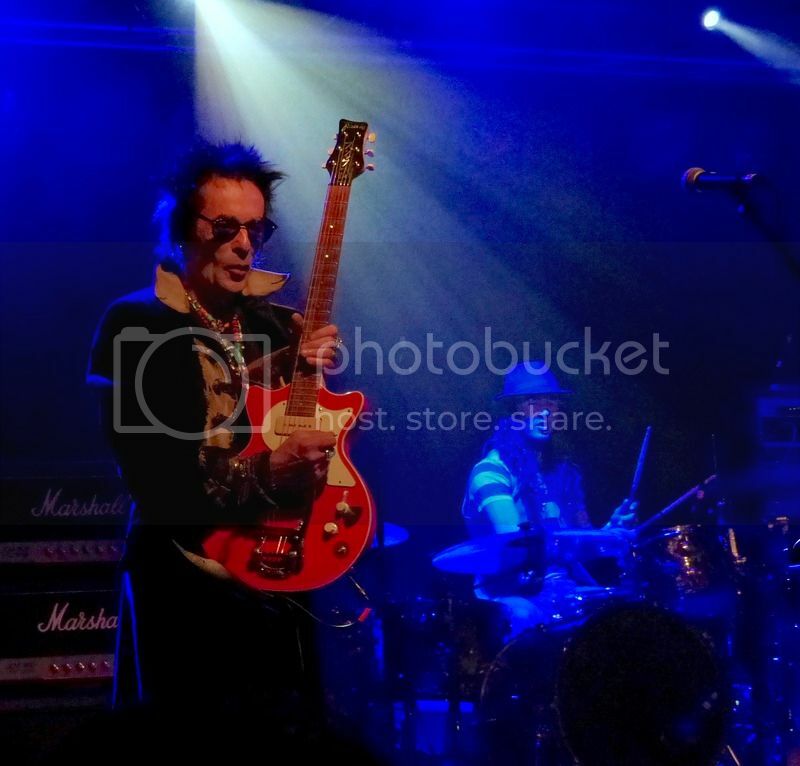 Earl Slick, what a name! "...Like many parts of the United States, New York City has its own dialectic peculiarities. One of them is the pronunciation of any word with the “oi” sound, as if it were “er.” Spoil becomes “sperl,” Foil becomes “ferl,” and oil becomes “earl,” as in, “Watch out for that earl slick over there on the highway.” So, now you see how Frank Madeloni became “Earl Slick.” Pretty cool, and very New Yawk, as we say around here." 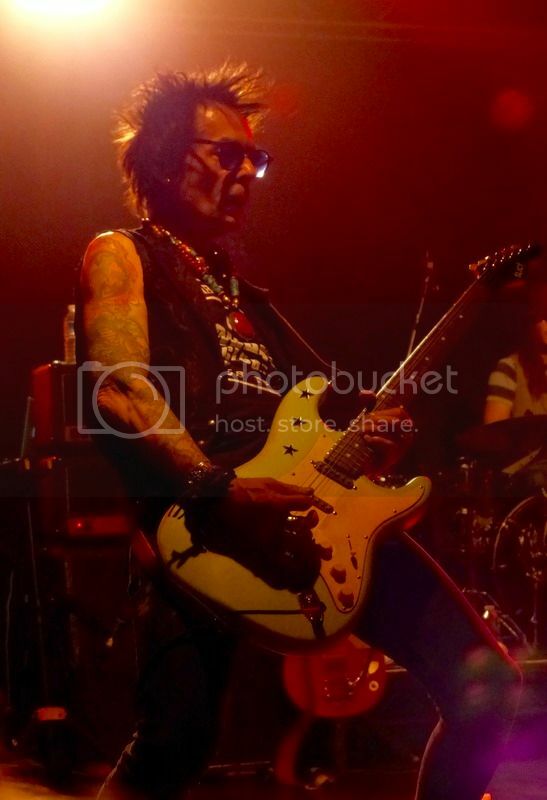 Slick has played w/ some of my favorites (Hunter, Bowie, New York Dolls, Lennon). Too bad Bowie has retired from performing. On the bright side, now we have Bernard doing Bowie! Mick brought Earl in to play guitar on "Dancing in the Street" around the same time that Earl was teamed with The Stray Cats rhythm section as Phantom, Rocker, and Slick. Keith played on their single, "My Mistake." All of this in the middle of the DIRTY WORK sessions. record(just to name a couple of his accomplishments). Sounds like a great show! This is a sizzling version of Stay from 2000. 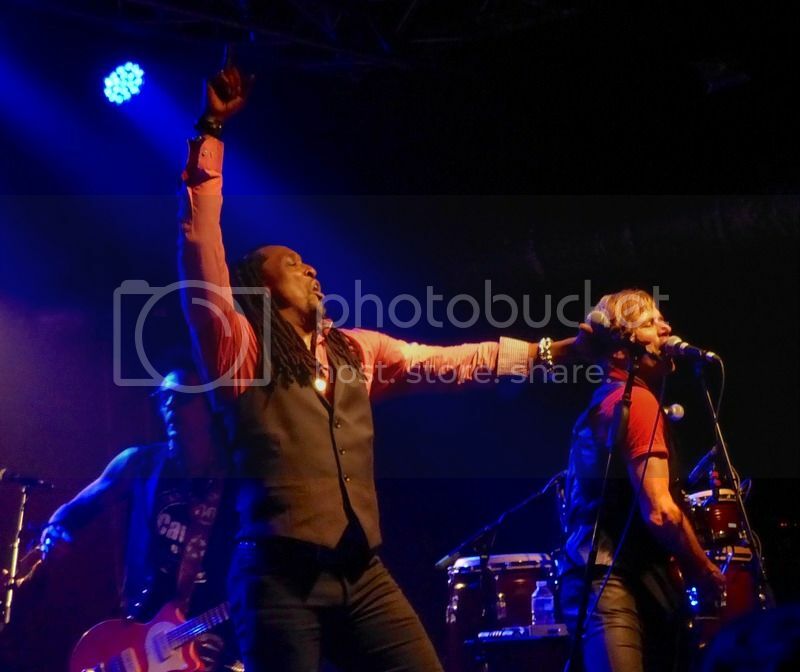 Bernard Fowler is teaming up with David Bowie's guitarist, (the way awesome) Earl Slick, to do a few UK dates in 2016 where they will play all of Bowie's Station to Station LP, along with some other Lennon and Stones songs. All are at the O2 in each city. The info. is out there - should be great show for any folks in the UK that can make it. 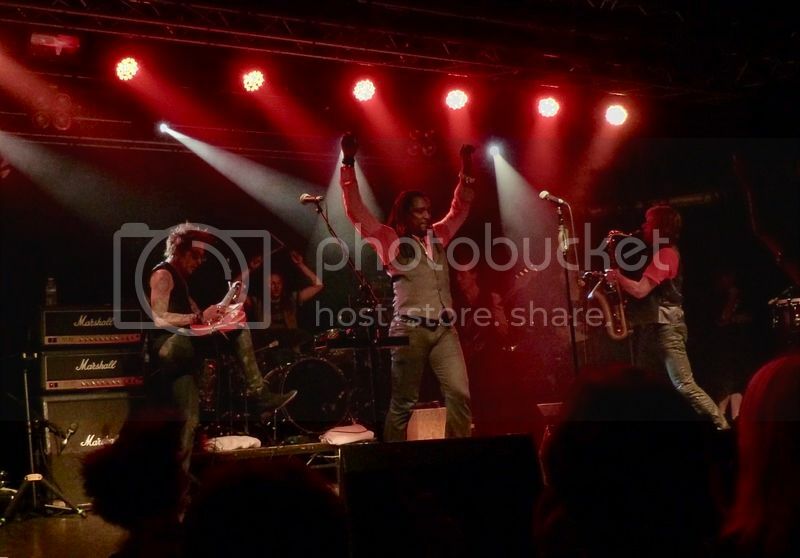 Will try to go to the London show, I went to Scala last week where Bernard was playing with Ronnie Wood and Mick Taylor. Sorry for the OT! Nate, do you know if the boys are in Paris? What is all this about Paris? They are obviously back home this week to celebrate Christmas with their families. Where did you hear this rumor? Very unlikely they are going to move studios with so little time before Christmas and a tour preparations starting soon afterward. maybe after London they went to Paris...time will tell! Maybe they are all going home for Christmas this week and get back together after that but I don't know I'm just guessing. Do you live in Paris ? I was there last week it's one of my favourite places in the world. I visited the Bataclan theatre I took my Rolling Stones tshirt from the concert in Paris last year and layed it outside the theatre where people have been laying flowers,cards and pictures. Edited 1 time(s). Last edit at 2015-12-21 22:47 by Nate. 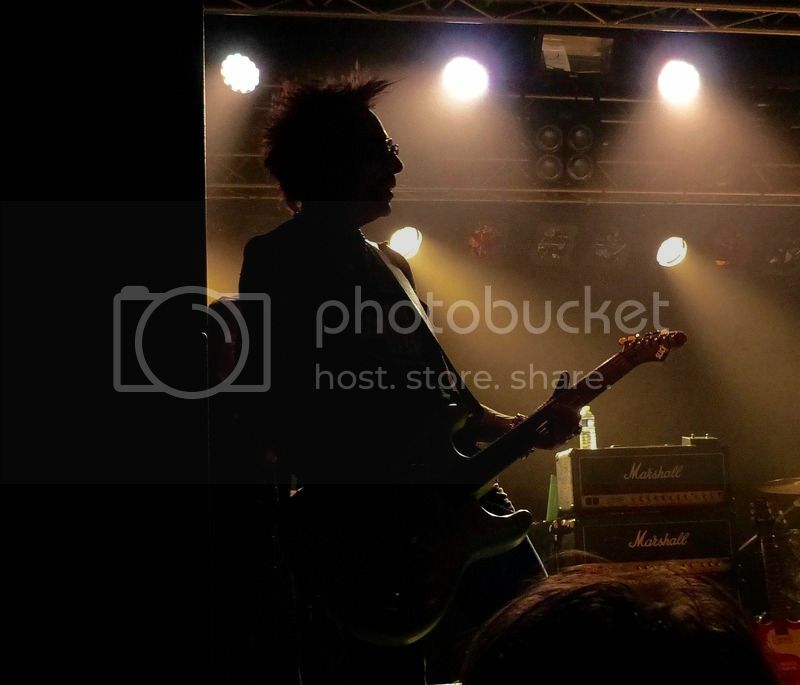 Kinda OT: Earl Slick featuring Bernard Fowler set to perform "Station To Station" in april 2016. 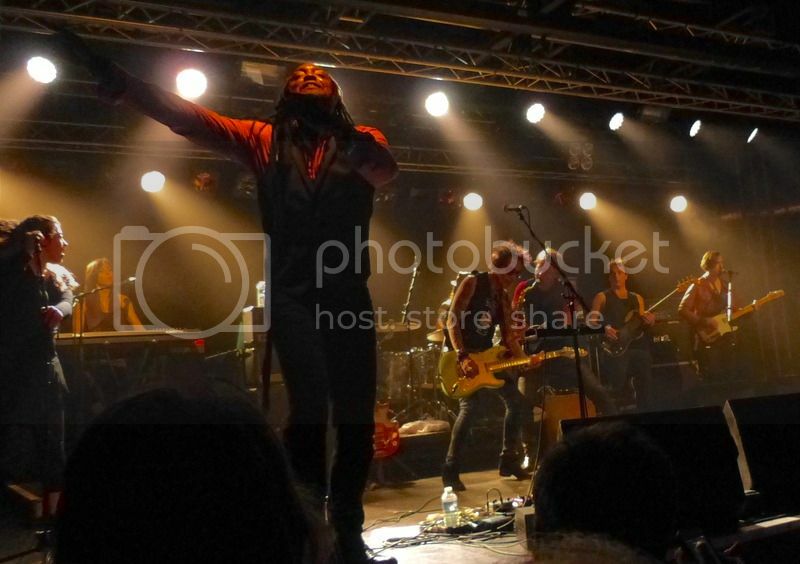 Legendary guitarist Earl Slick (David Bowie / John Lennon) and singer Bernard Fowler (The Rolling Stones) to tour the UK in April 2016 performing David Bowie’s Station to Station album masterpiece in full and a set of other classic Bowie, Lennon and Rolling Stones songs from their careers with those artists. Marking the 40th anniversary of the release of David Bowie’s seminal album Station to Station, this tour will showcase the remarkable talents of renowned and influential guitarist Earl Slick, whose guitar playing made such a profound impact on the Station to Station album. 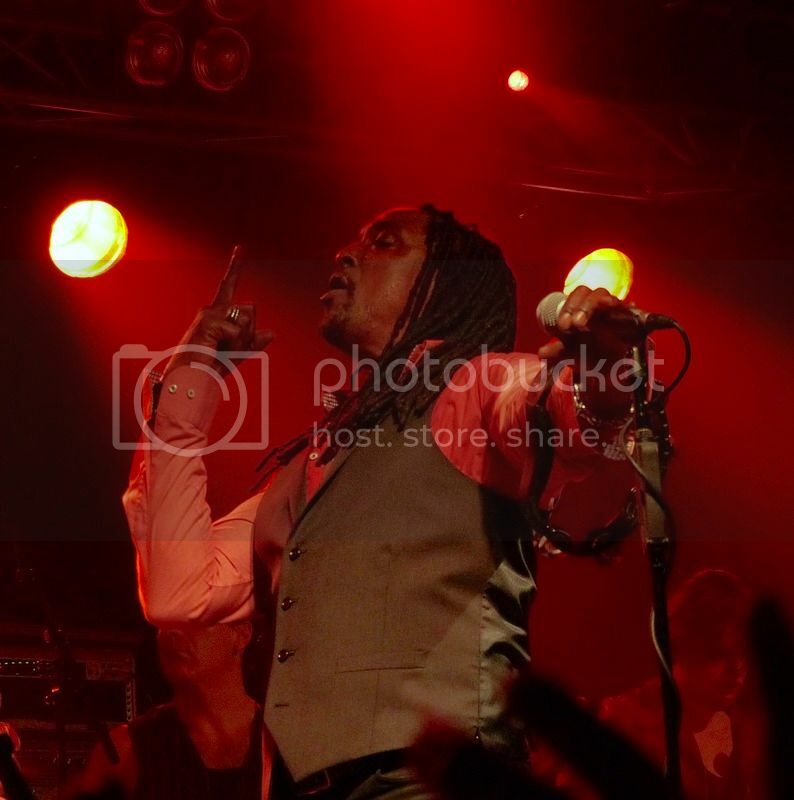 Re: Kinda OT: Earl Slick featuring Bernard Fowler set to perform "Station To Station" in april 2016. I too am curious Nico! Probably one of my top three Bowie albums. And this could be great. But I am a bit skeptical about Bernard carrying this. I don't mind his backing vocals and some of his solos are also great, but this is a daunting task, and I was not impressed with his recent album. So lets hope its great! It'll be interesting to see what Lennon songs they do, as well as Bowie. This album sung by any other singer but Bowie is completely senseless and ultra-superfluous. Good for nothing. After seeing Bernard and Ronnie is December, I got my tickets for this one. Looking forward to Bernard, Earl Slick and others. Got tickets for Colchester, favourite Bowie album as well, very excited. Good one, Dean! 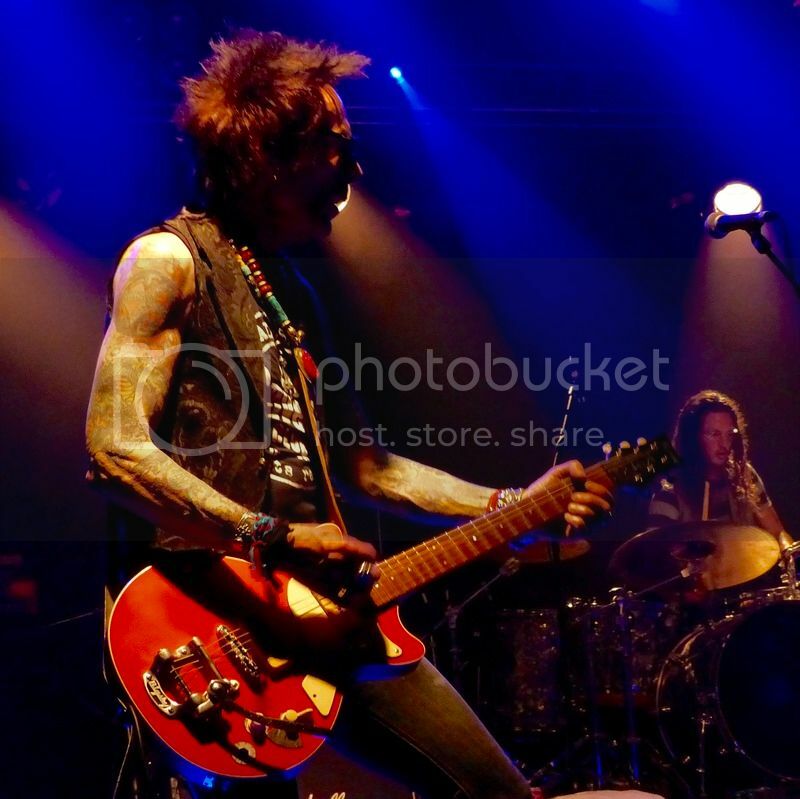 Would love to see both of them with Earl Slick live, real Rockers they are, aren't they? 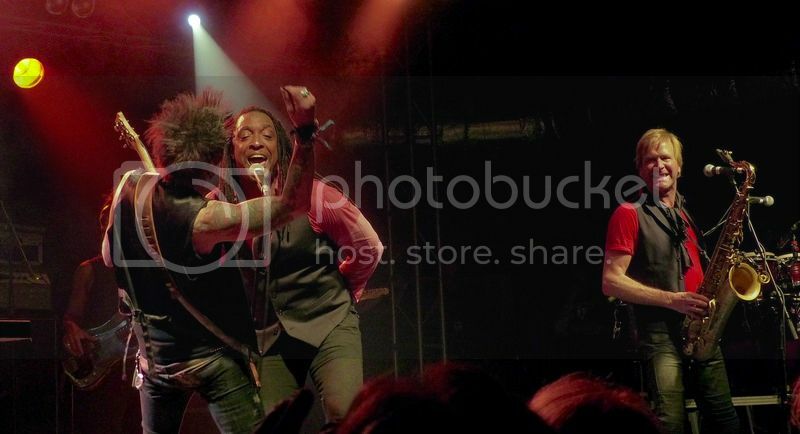 Sorta not O/T: Earl Slick & Bernard Fowler play 'Station To Station' at The Academy, Liverpool. Thursday 28th April, 2016. I'll tell you what: if you're a Bowie fan and you love a great live sound then get along to see these guys! When I can, I'll post a full match report from last night but this is just a heads-up for any London IORRians to see them at The Academy in Islington tonight...I recommend! Edited 1 time(s). Last edit at 2016-04-29 13:53 by SimonN. Re: Sorta not O/T: Earl Slick & Bernard Fowler play 'Station To Station' at The Academy, Liverpool. Thursday 28th April, 2016. Edited 1 time(s). Last edit at 2016-04-29 14:24 by DandelionPowderman. Right then, eyes down and here we go! This tour was announced before the passing of DB, lest anyone think this was some tawdry cash-in: early in the show, Bernard announced that this was intended as a celebration and in the light of events, definitely not a wake. That's pretty much what the 800-strong crowd got too...it looked like the band were enjoying it all as well. And who was playing drums and thus given the nigh-impossible mission of filling Dennis Davis's shoes? Why it's Earl's son of course! 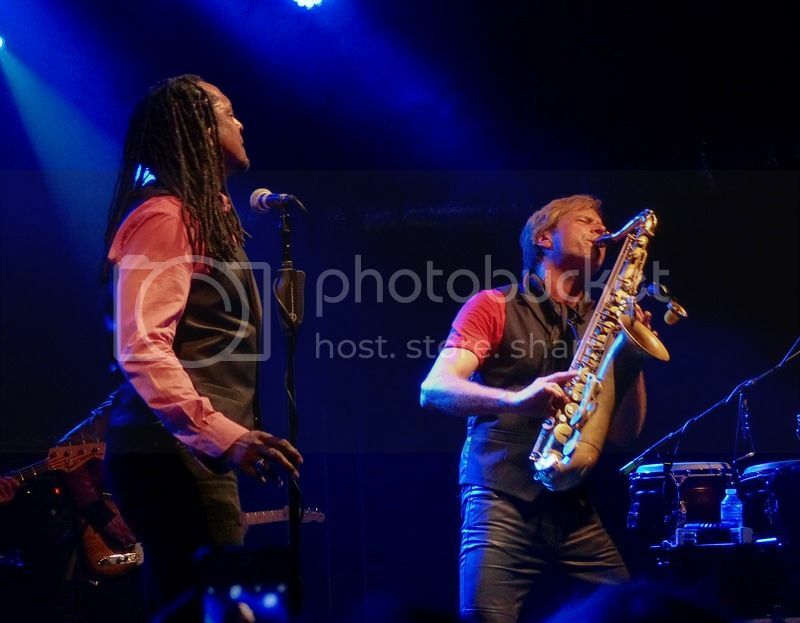 Speaking of which, aside from the two principals, the band also included ex-Spandau Ballet saxophonist Mr Steve Norman. This guy was a revelation as he was switching between sax, Gibson SG, percussion and also singing backing vocals. Funny thing though- just before the show I went into the pub that is nearest to The Academy and it'd be safe to say that it won't be troubling CAMRA's top ten anytime soon. A toilet, to be blunt. Anyway, it did serve relatively decent Guinness and I looked around at the other punters...a mix of extremely regulars and a few Bowie fans...plus Steve Norman who was also on the black stuff! He stood-out a mile because of his clothes, the fact that his skin actually glowed and that his haircut probably cost more than the rest of ours put together, hah-hah! Anyway, he was happy chatting away to fans, some of whom knew who he was and some who did not: a couple of pints and he was away...only to be seen killing it onstage 90 minutes later, hah-hah! IF you ever were wondering whether Mr Slick deserved his reputation, if not nick-name, then unequivocally the answer is 'yes'. Apart from looking more like a rock star than pretty much anyone else on two legs, he can certainly play and he recreated the tone or sound that we're so familiar with: think of the twang on 'Golden Years', for one. Just glorious stuff! Every time that I've seen The Stones play live, Bernard F. has been there too, only difference is that he's up there, twenty feet from stardom! I did wonder how he would cope as a frontman, nevermind having to fill the shoes of one of the most revered, respected and loved artists...he nailed it, to be honest. Not only sounding great, he is a natural too at engaging with the crowd and able to take the piss out of himself on occasion. Top man. I was lucky enough to run into him on the way to that horrible pub and he chatted for a minute and posed for the inevitable photo. Bernard, if by any miracle you read this, please accept my apologies for the cretin whom I roped-in to take the photo. Trust me to find Liverpool's version of Terry F*ckwit, hah-hah! The band played the ever-excellent LP 'Station To Station' in order and then launched in to a few other DB numbers and then a seated acoustic mini-set before trousering us all with an irresistible and rousing encore of 'Heores'. All that for £20 or so? Blimey! 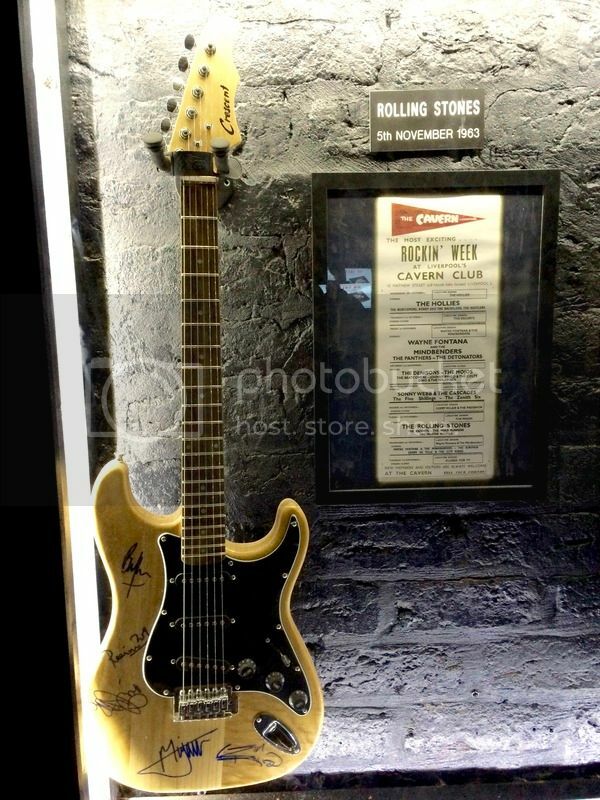 And I saw this little number earlier in The Cavern: apparently Earl had been in two hours before me...d'oh! Cheers to you for the great write up! 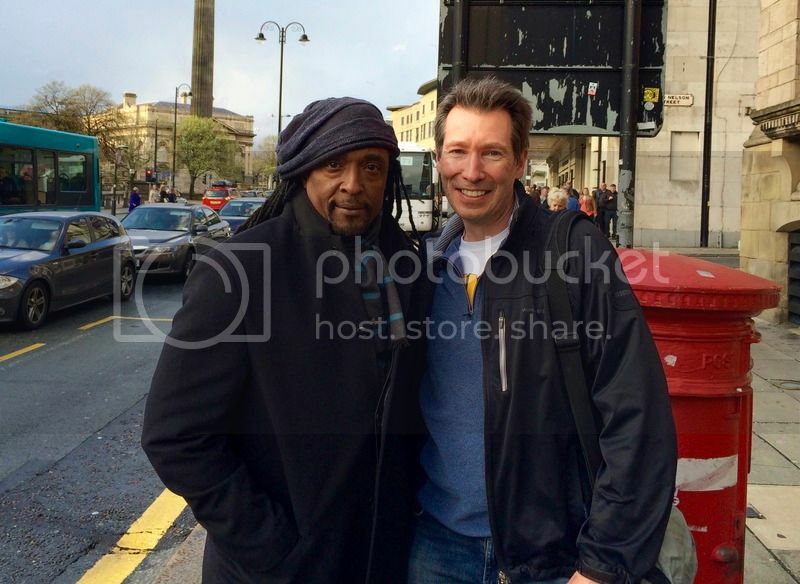 Very nice, thanks for the report and the great pics! !